Dr. Firas El Samad is a founding Partner and currently acts as the Managing Partner of the Firm and heads also the Competition Law and the Telecommunication Departments. In addition to his managerial responsibilities’ Dr. El Samad is specialized in telecommunications and information technology. During his past experience, Dr. El Samad has assisted in the drafting and reviewing of software, telecommunications and related services contracts and license agreements, negotiating with the Egyptian Telecommunications Regulatory Authority and with other entities/authorities on behalf of a number of his clients and has worked to localize international model agreements for implementation in Egypt. 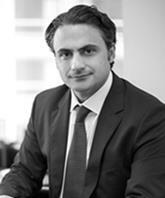 Dr. El Samad also handles Anti-Trust matters and provides clients with advice on the various aspects of Economic Law. Dr. El Samad has also been involved in mergers and acquisitions and had played a leading role in many major acquisition deals in the various fields of industry (banking, cement, food production, tourism and telecommunication). Examples include the acquisition of Cairo and Far East Bank by Banque Audi, the acquisition of Misr Romania by Blom Bank, the acquisition by Citadel Capital of ASEC Cement Company, the acquisition by Suez Cement of ASEC Cement Company, the acquisition by Suez Cement of 50% stake of Ready Mix Beton, the acquisition of General Cables Europe of BICC Egypt, the acquisition by Roca of 50 % of Gravena, the acquisition by Goldman Sachs of a stake in Palm Hills Developments. 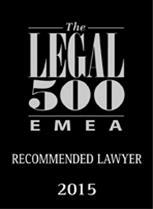 Dr. El Samad has been a lecturer in the field of arbitration at the Lebanese University of Beirut from 2000 until 2007. Dr. El Samad was also involved in trans-national transactions and worked closely with legal teams from various jurisdictions including in other Arab countries, such as Syria, Lebanon, Jordan and the Gulf. Dr. El Samad was involved in drafting and negotiating complex contracts on behalf of clients with various entities including governmental and quasi-governmental entities. Dr. Firas El Samad obtained a B.A. in Political Science and Public Administration from the American University of Beirut in 1994 and an LL.B. from the Lebanese University in 1995. He then obtained a Masters’ Degree (DEA) from the University of Montpellier I in Economic Law in 1997, a Ph.D. (Doctorat en Droit) from the University of Montpellier I, France in Private Law/Economic Law in 2000, and a Ph.D. from the Lebanese University for the same research in the same year. Dr. El Samad speaks Arabic, English and French.